We’re all gourmet coffee drinkers today. We all know Arabica is the good stuff. 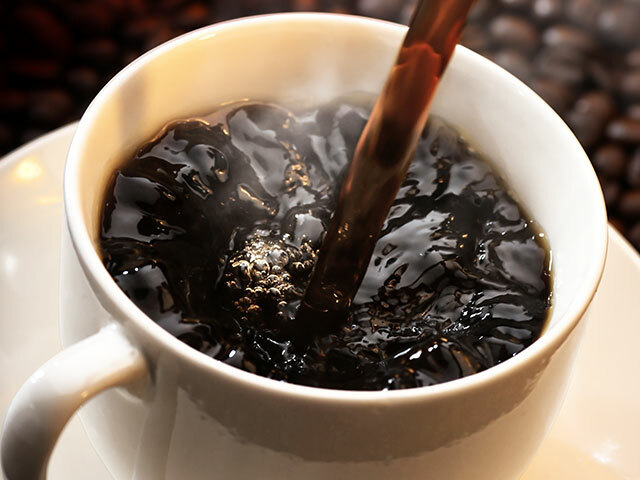 You can even get a decent cup of coffee at McDonald’s or an espresso at the car wash.
Twenty years ago coffee was nondescript. It was all sold in cans. Probably manufactured in New Jersey or Kansas City. Espresso? What do I do with that? How things have changed! Today, even mainstream coffee drinkers are particular not only about the quality of their coffee, but where it comes from. 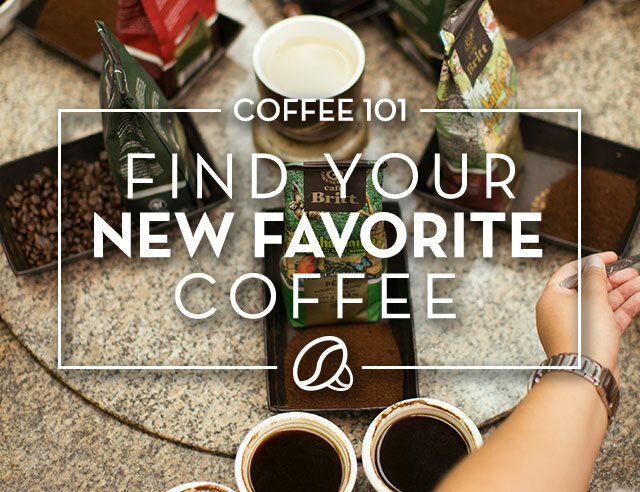 Many of our customers love to discover the subtleties of our blends and regional coffees. They notice things like fruity nuances and acidity. This is all really good news for people who have been making a good, differentiated product for years. But how did this sea change come about? The Café Britts of the world, the Starbucks, the Seattle’s Best – we all did it together. We did it with passion and a love of sharing our passion with you. Like wine makers, who have been pouring their pride and passion into their products for centuries, we did it with coffee. But our challenge was even greater. Consumers already had strong feelings for wine. It was either really, really special or it was the stuff winos drank. We took a mass commodity; a product that no one really thought much about beyond its qualities as a pick-me-up. We showed the world that fine coffee is something special. At Britt, we did that by inviting people to come and see what we do. How we roast. Where coffee comes from. What makes coffee great. As our customers’ tastes and knowledge have evolved, so have we. Our CoffeeTour was once as much about entertainment as about coffee. Over 800,000 have seen it since 1991 and we still put on 2 or 3 shows a day. It was pretty groundbreaking at the time, but times have changed. Today, many visitors design their own experience. Our in-depth Coffee Lovers Tour includes a trip to our organic coffee mill and an espresso and tasting course. It attracts about 300 visits per month. And then there are visitors who want a tailor-made coffee experience, maybe picking coffee, helping in the tasting room or talking with farmers. We arrange it all. Our visitors learn to “cup,” or professionally “taste,” coffee. They can even create their own roast while on a visit here. We’ll save it on file and send it to them at home, as often as they wish. Gourmet coffee has gone mainstream, but we at Britt haven’t. We’re as passionate as we’ve ever been. We’re coming up with new ideas all the time. And we’re still very eager for people to come and see what we do. That’s why we’ve begun offering an incentive. Anyone who makes a reservation on line to visit our CoffeeTour in Costa Rica will receive a free sampler pack of our coffee. We want you to come and see us. We have different things to show you. The world has changed, and we’re right there with it. We want to share it with you. We always have.